Feb 12, 2019 / WORDS Daniel Jaramillo / Taking laptop rock to a new level! If you buy into the glamorous lifestyle of celebrity magazines and tabloid talk shows, Los Angeles is a city where the American dream reigns supreme. From the stars on the Walk of Fame to the Hollywood sign on the hills, the city symbolises opportunity and power. The reality however for many Angelinos is a story of gentrification, the super-rich getting away with whatever they like, drug and alcohol addiction and the total existential anxiety of modern life. All these themes are a central part of the latest FIDLAR album Almost Free. The Los Angeles punk rock outfit crafted songs about their own personal heartbreaks and misfortunes whilst making them universally relatable and instantly recognisable as the parallel universe, day to day living in the city of angels. Lead vocalist and guitarist Zac Carper is the band’s main lyricist and co-writes the music with backup vocalist and guitarist Elvis Kuehn. For Almost Free their third LP they have created an idiom that is all about experimenting with vanguard music as well as using a modern approach to writing and recoding. The duo’s partnership has allowed the whole band to tryout diverse music influences from garage rock and blues to contemporary soundcloud rap. We used laptops for this record and we recorded songs in airports between flights, it was different to what we were use to, it was about adapting to the new technology and adapting the way music is made today. On Almost Free the band hired Grammy nominated producer Ricky Reed who is better known for producing pop and R&B. In an age when rappers are the new rock stars, FIDLAR are of the opinion that rock isn’t dying but rather just evolving with the times and they see themselves amongst what is happening in music today: “I think it’s one of the most exciting times in music because there’s just zero rules in genres, I think it’s just a new evolution of rock n roll.” Singer/rapper and musician K-Flay is one of the feature guests on the album and she lends her vocals on the track Called you Twice, a song about Zac’s break up with his ex-girlfriend. 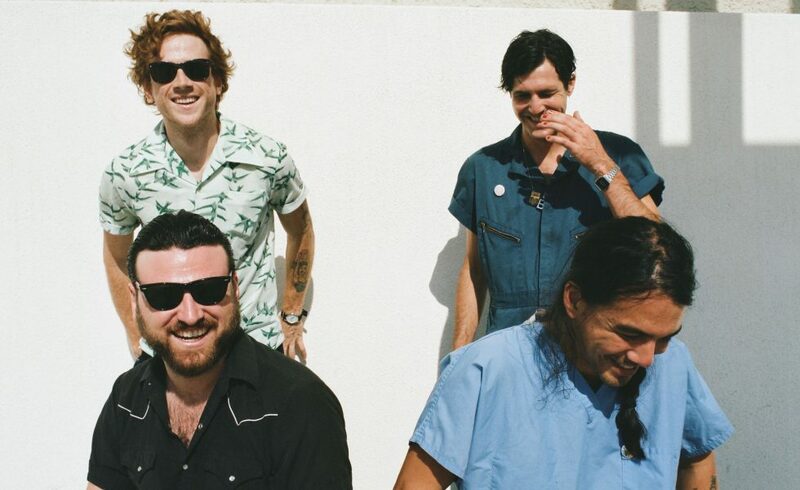 FIDLAR’S sonic trajectory is ongoing and even Zac himself can’t say what direction they will go in next but perhaps the way music can nowadays easily be created in transit and with such mobility, it only makes sense for them and other bands to use technology in the most efficient way possible going forward. Recording a live album is another idea Zac and co are considering but in the meantime they are touring to support Almost Free and will hopefully make it to our shores in the near future.